Installing a new septic system does not have to be stressful. 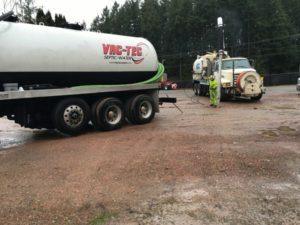 With the help of the professionals from VAC-TEC, LLC, you can have your new septic system installed quickly in Mercer Island, WA. Choosing the right new septic system for your property requires knowledge and expertise. We are dedicated to customer satisfaction. We offer free estimates and outstanding customer service. Our entire team works hard to make the installation process of a new septic system as stress-free for our clients as possible. A new septic tank installation will keep your plumbing system working efficiently for many years to come. 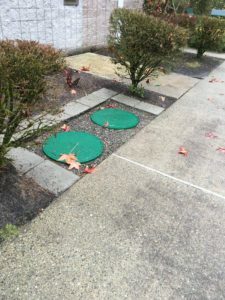 Trust our trained and experienced technicians for a septic tank installation in your Mercer Island home or property. Our septic tank installation service is friendly and fast. You can rely on our professionals to walk with you through the septic tank installation process, carefully explain all of your available options, and get the septic tank installation job done correctly. Our state of the art equipment allows us to perform large septic tank installation jobs just as efficiently as small ones while still being competitively priced. Septic systems malfunction, especially when they are past their lifespan or when they are not properly maintained. 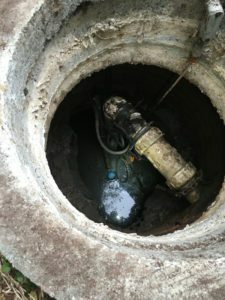 To avoid an expensive and a potentially dangerous problem, call our professionals to replace the septic system in your Mercer Island home or property. Our specialists will work closely with you to replace your septic system correctly and safely. We offer some of the most affordable options to replace septic systems in Mercer Island. We are also available to address any questions and concerns regarding our septic system replacement services. We believe that an informed client is a client that will be pleased with the work done. If you need to repair or replace your septic system in the Mercer Island area, call the pros at VAC-TEC, LLC for an exceptional service at (206) 339-0039.